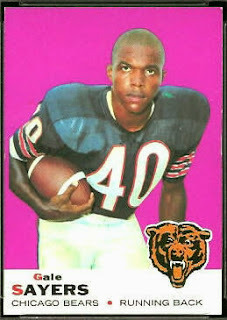 He grew up in Chicago (born in 1946), attended Columbia College (left in 1968 to join the military), and returns to the town of his birth often. He’s also a huge baseball fan, which begs the question: Is he a Cubs fan or a Sox fan. The Chicago Reader posed that question to him last year and he responded… “You know, I get asked that a lot. I’m a fan of both teams. I’ve never understood why I had to hate one or the other. 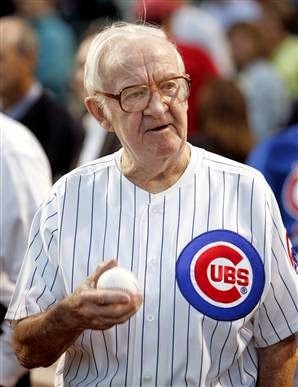 I grew up close enough to Comiskey that I could hear the fireworks after games, but I watched the Cubs on TV.” He went into a little more detail in 2009 to the MLB network…”I think what drew me to the Cubs is that they did something in the 1950s that was unheard of at the time. They would televise all of their home games. I would come home from school and instead of watching a cartoon or Jerry Springer, I would watch a baseball game. I’m not sure if Mr. Wrigley was cheap and wanted more television dollars, or (was) a visionary, but I think he created a lot of Cubs fans like me who would come home to watch the games. It’s hard to realize that in this ESPN era, televised games were pretty rare and a home-televised game was unheard of.” Among his favorite Cubs players: Ron Santo, Ernie Banks, Billy Williams. His favorite year? 1969. “I tend to remember more odd moments,” he once said, “like being in Wrigley with 721 people attending. That was a highlight. I’ve seen the Cubs on the losing end of a lot of exciting games. 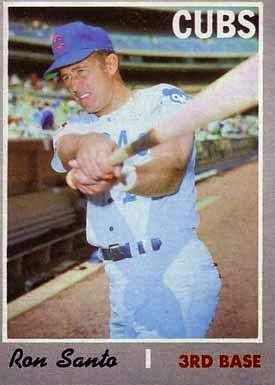 To me the most exciting season in Cubs history was 1969 with Leo Durocher. It was such a heartbreaker because it really looked like it was their year (and) they deserved to win. Then this upstart team from New York got so hot and, well, (for the Mets to win) the Cubs had to go in the opposite direction.” Needless to say, Sajak has returned to Wrigley Field numerous times, has thrown out the first pitch, and once even got a chance to sit in the Cubs booth with Harry Caray. “I met Harry fairly late in his career and he could not have been sweeter,” he explained to the MLB network. “It was funny — as you know, Harry would spend the game talking about ‘Misses Johnson’ in the hospital in Cedar Rapids while occasionally sprinkling in some play-by-play, and I made a gentle joke about it and he got serious, not defensive, but in an explanatory way. He said that he considered those fans to be very important (saying), “if I can lift their spirits while they are in the hospital (then) I’m more interested in that than what the last pitch was.” Like many of the old-time broadcasters, he knew that it was television and fans could see the game, so he did a ‘TV show.’ (The viewer) saw the game and heard Harry’s version of it. Some loved it and some did not, but you cannot deny that baseball is far less rich when it loses people of that generation.” He has since been asked to sing “Take Me Out to the Ballgame” during the seventh inning stretch, and he dedicated it to Harry. That’s a Cubs fan. That’s Pat Sajak. Becky Sarwate is the co-author of “Cubsessions” (Eckhartz Press, 2018). For Cubsessions, she and co-author Randy Richardson interviewed a diverse collection of some of the team’s most famous fans: actors, comedians, broadcasters, musicians, restauranteurs, athletes, journalists. Even those who are ubiquitous precisely because of their fandom. Cubsessions tells the story of divergent life paths – the roads taken, the failures experienced, and the successes reached – and how those paths all come together for a collective passion. Becky is a freelance writer contributing to a number of publications including The Broadway Blog, where she reviews Chicago theater productions, and Wrigleyville Nation, chronicling the highs and lows of lifelong Chicago Cubs fandom. She has been recognized eight times by the National Federation of Press Women for excellence in communications. 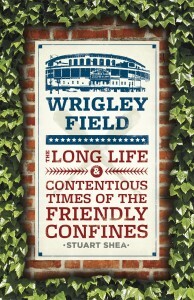 Stuart was a contributor to the great book “Cubbie Blues: 100 Years of Waiting Until Next Year”, and he has contributed to this website too with this excellent post (10 Cubs To Forget), but his biggest contribution to Cubs lore was undoubtedly his book “Wrigley Field: The Long Life and Contentious Times of the Friendly Confines,” which should be in every Cub fan’s library. It all began with the original owner of the Billy Goat tavern William Sianis, who famously brought his pet goat Murphy to Game Four of the 1945 World Series at Wrigley Field. He was not allowed to bring the pet in, and supposedly placed a curse on the Cubs, saying they would never return to the World Series. The family tried to take the curse off many times (led by William’s nephew Sam), but it never worked. The Billy Goat tavern is now an institution in Chicago, and the Sianis family remains beloved…mostly because we all secretly knew there really was no curse. Scott Simon ia an author and NPR radio host, but he’s also a Cubs fan. How big of a Cubs fan is he? This is from official bio…”Scott is a native of Chicago and the son of comedian Ernie Simon and Patricia Lyons Simon. His hobbies are books, theater, ballet, British comedy, Mexican cooking and ‘bleeding for the Chicago Cubs. '” Simon also wrote a book that tells all about his Cubs love (in addition to his love of the other Chicago sports teams) called “Home and Away: Memoir of a Fan”. It was published in the spring of 2000, and topped the Los Angeles Times nonfiction bestseller list for several weeks. 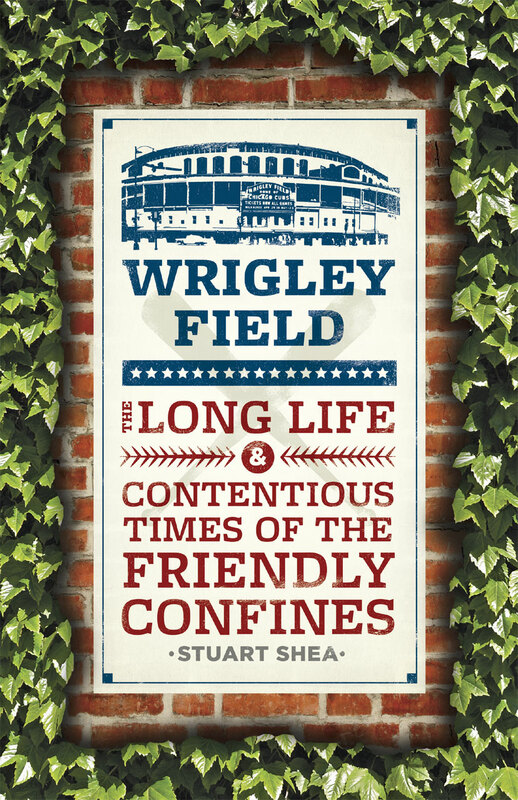 One of the best passages of that book was about the 1969 Cubs. After the Cubs won the World Series in 2016, he released a memoir entitled “My Cubs: A Love Story”. Scott Simon is no longer based here, and he is not really a Chicagoan any more, but can there ever be a doubt how deeply the Cubs virus has bored its way into his system? He was born in Blue Island, but he grew up in Highland Park. As a young man he was one of the founders of the Steppenwolf Theatre in Chicago, but he really rose to fame playing the character Lt. Dan in the film Forrest Gump. But while we all knew he was from Chicago, with a birthplace like Blue Island, we couldn’t be sure if he was a Cubs fan or a Sox fan. The record over the past decade seems to have ended that speculation once and for all. In 2003, Gary was interviewed for the Cubs documentary “Chasing October,” and admitted something that surprised no one: He’s a die-hard Cubs fan. In 2004, Gary participated in the film “This Old Cub,” which told the gut-wrenching story of Ron Santo’s struggle with diabetes and his hopes for entry into Baseball’s Hall of Fame. Sinise recounted his memories of watching good ol’ #10 patrolling 3B for the Cubs in the sixties and early seventies. In 2009, he agreed to narrate the Cubs film “We Believe.” We believe, Gary. You are a true blue Cubs fan. 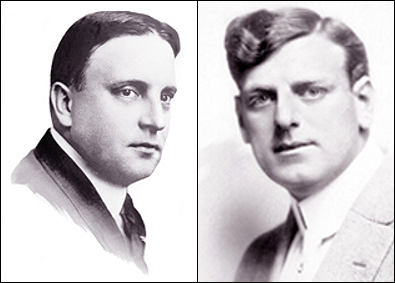 Spoor was born in Highland Park and ran the only business in Chicago that was more glamorous than the famous Cubs. Not many people realize that Chicago was once the movie capitol of the world. That title lasted exactly one decade (1907-1917), and it was thanks to the movie studio known as Essanay Studios. The studio was located on Argyle Street in the Uptown neighborhood. The name “Essanay” comes from the initials of the studio’s founding partners: George Spoor and Bronco Billy Anderson. (Photo: Spoor on the left, Anderson on the right). At that time there was still quite a bit of open space to film in that neighborhood, and Essanay preferred to shoot outdoors if possible. They also built an indoor studio at that location. On the day the studio was opened (in 1907), the Cubs were in the midst of a magical season, on their way to their first World Series title. As the Cubs built one of the greatest dynasties in baseball history, Essanay was doing the same on Argyle Street. They had the world’s number one box-office star ( Charlie Chaplin), a glamor queen ( Gloria Swanson) and the most famous cowboy star in the world (“Bronco Billy” Anderson). Spoor was the businessman. He had run a news-stand and a film projector company. Two of his employees went on to start the Bell & Howell company, which made movie projectors. Chaplin left Essanay in 1916, which dealt a death blow to the company. A year later, the rest of the movie making world had moved to southern California for better weather (and year-round filming possibilities), and Essanay died a quick and painful death. By 1917, only the plain brick building on Argyle remained as a reminder of this era. Essanay studios was only operating in Chicago for eleven years, but in those years, the Cubs were in the World Series three times, and began playing their games in what is now known as Wrigley Field. It was a critical era in Cubs and Chicago history. David is the marketing director of Just One Bad Century, but he’s also a published author. 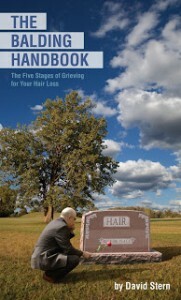 His self-described spiritual masterpiece is called “The Balding Handbook: 5 Stages of Grieving for Your Hair Loss”. When asked to pick his all-time favorite Cubs he effortlessly ticks off a few: “Ryne Sandberg-when he takes his hat off–and of course, Mike Quade.” The Balding Handbook is available at Eckhartz Press. Harry with the PBP during that famous Sandberg game…. Rick’s favorite baseball card beginning with the letter S..